Going out on a long road ride is exceedingly good fun. Pedalling at pleasurable speeds is infinitely easier than it would be on a touring bike, however the touring bike does offer the convenience of being able to carry anything you might ever need on that day-ride (and no, a backpack is not an option for me, if it can be avoided). 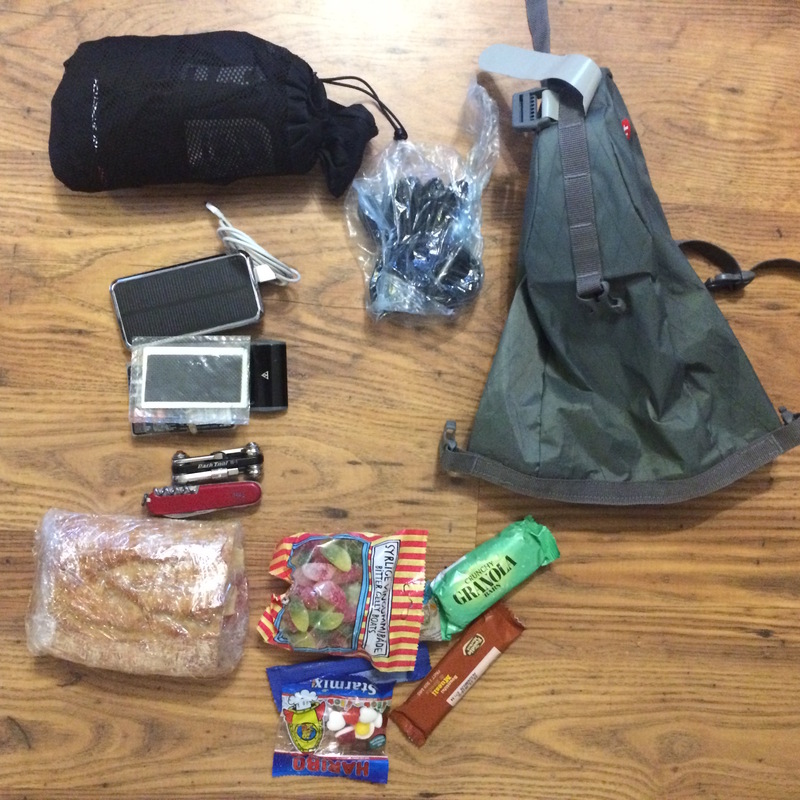 The usual solution to the problem is to use a small saddle bag to carry tools and emergency supplies, and to shove some food and spare clothing into your jersey pockets. 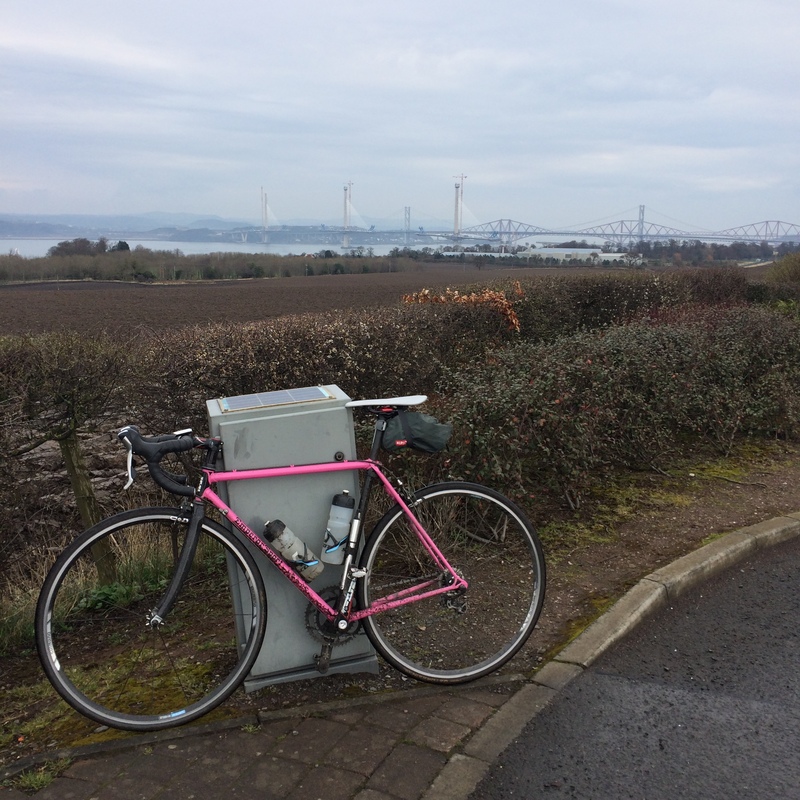 I went out for a lovely “two bridges” loop yesterday (100km, over the Forth Road Bridge and the Kinkardine Bridge, via the Kelpies, Bo’Ness and back) with almost empty jersey pockets. I managed to fit my rain jacket, tools, charger, a spare tube, a giant sandwich, some munchies and I even added a pack of wet wipes to it before leaving. The Alpkit Kowari is indeed the perfect size for day rides, and its made in the UK! My only criticism is that the main strap, which wraps around it holding the bag onto the saddle rails, is a bit shorter than I’d like, making it very hard to fit the bag to the bike after its been packed. Apart from that, my stuff stayed dry, and the bag did not flap nor rattle, and certainly didn’t fall off. Thankfully I didn’t need any of the emergency supplies either.